Search Engine Optimization (SEO) is the best way to promote your blog and online content without paying any money. The use of keywords in a systematic manner helps you rank your blog in google search and this will ultimately generate traffic for you. 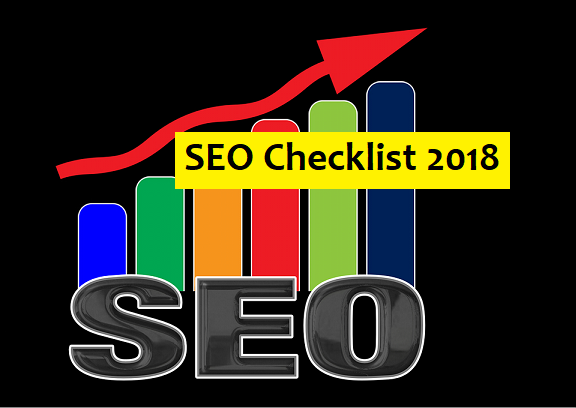 Here, in this article, you will learn about what are the SEO Checklists for bloggers. What are the best resources for learning about search engine optimization (SEO)? There are so many resources over the internet but are they all trust worthy ? Is it good to follow them with closed eyes. There are so many genuine resources you can use them to learn about the search engine optimization. Search Engine Journal Says that " If you want to learn about search engine optimization (SEO), you’re going to have to read. You must be a student of the game, constantly learning and educating yourself. " So, if you can start by being a student and give some time to it, then only you can be an SEO Expert. Are you ready to start the journey of SEO ? Here, I was talking about the Genuine Resources to enhance youe knowledge of SEO. Search Engine Optimisation has a lot of stuff related to it. Just using Keyword is not everything. You need to consider various factors which affect the ranking of any website or blogs on the search engine. Use of Long Tail Keywords can help you rank well in search results. Long tail keywords are more specific and you get the right audience who can come to your site again. You get returning visitors. From the research, it shows that the people searching using long tail keywords will read the complete article and try to get the information, which is a plus point for any bloggers. Once you found the keywords, you need to include them in your blog post so that search engine understands that you have written the content on that keyword. So, include your keyword in the title of your blog post. You need to include your keyword in your post at the first 60 characters. Do not just focus on adding more keywords. It should be user-friendly and natural. Try to be more informative and include as much detail information and answer all the possible queries of the visitor. URL of your blog post should be user-friendly. You can include your keyword in the URL as well. For example www.anilpathak.com.np/afg54afs54. This type of URL is the worst. But URL like www.anilpathak.com.np/seo-101 is user-friendly. The user can easily go to this page by using this URL. Using keywords in the Meta Description is important because the search engine understands the niche of your website. However, the use of unnecessary keywords makes users leave your site which decreases your ranking in the search result. So, be genuine and use the related keywords only. Keep in mind that huge of traffic comes from the mobile devices. So, your posts need to be mobile friendly. If you have a responsive web design, then your blog posts are automatically mobile friendly. The meta description is an information that gets displayed when we search for something. The use of proper keywords and information in meta description help you to rank your website. Use of image is also a very part of SEO. You must include at least an image in your blog post and use different image tags like Title text, Alt text, Image caption, etc. Do not write a similar content because Google can penalize due to the duplicate content. Linking content is very important. You can use both internal an external links. Using the authorized external links like Neil Patel will make your blog more genuine. Also, you can use internal linking like "Handy Tips on SEO for beginners" that is related to the post. This will help visitors get more related information and also help you to get more traffic. This will increase the time, the visitor spends on your blog. SEO Checklist for bloggers is just a simple mind map for the new bloggers to optimize their blog content. However, you can do some very easy steps that will help you rank in google somehow. But SEO is an ongoing process and you have to optimize your content time and again. So, keep in mind about very easy tips that have been provided above like linking your articles, including image, use of headings and subheadings, use of long tail keywords, etc. So, good luck.